The Gamesmen, Episode 8 – Chaturbate in my Titanfall | The Gamesmen- What role will YOU play? Join Hardlydan, Amras89, and Yodathe3rd for game talk and fun! 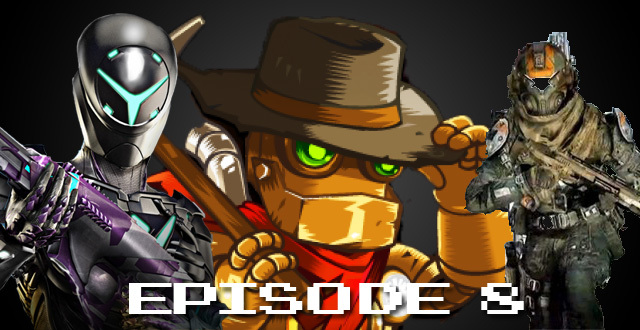 This time, The Gamesmen talk about the Titanfall beta opening to everyone, Goat Simulator, a mass killer going on a hunger strike , games helping dyslexia, and the Nintendo Direct that took place on the thirteenth. Games discussed are Battlefield 4, Titanfall, Bravely Default, Need For Speed Rivals, Planetside 2, Steamworld Dig, and Don’t Starve. Help Dan figure out a name for his new puppy! Check out our Twitch when there is streaming up! Is that a deliberate mis-spelling? No that wasn’t deliberate. Thanks for letting me know. I kind of rush through at the end when I’m uploading the recording.